I need to thank Siggi with Viking Entrepreneurs Podcast for first, interviewing me about my journey so far and also for helping me with the new look and feel of StartupIceland.com website, blog and Community Platform. If you have not signed up you really should we are going to be talking about everything from building companies to connecting a community of entrepreneurs in Iceland. Coming back to the post, we were chatting yesterday about the website and the activities etc so I got curious on why he wanted to help me organize the startupiceland.com, he told me that he has an end game, and he even wrote about it called the Robin Hood Business Strategy. I thought it was pretty good, I went and read it again to make sure I understood the context. He asked me about my endgame, until now I have not voiced it or written about it but here it is. My endgame is to End Poverty in my lifetime. Do you think that is a Big Hairy Audacious Goal? Yep, it is and I know it can be done! There I have said it. Why end poverty? 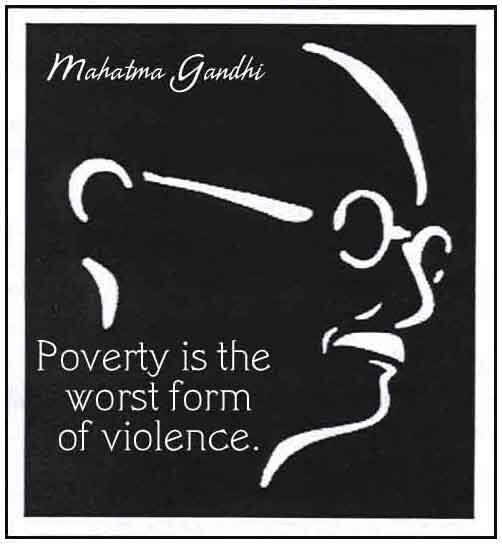 well, I think poverty is the root cause of many challenges. I am not going to write about all those challenges but I am going to write about how I plan to end poverty. I think we can end poverty one startup community at a time. Building a vibrant, sustainable startup community gives the fertile ground for anyone to venture into starting an initiative to end their economic, environmental, social or even political problems. I hear many nay sayers talking about how we are depleting our natural resources and the only way is to fight or kill for it. The two alternative thinking is status quo or conflict, I seek a Third Alternative, which is better than anything that we have thought so far. I believe the answer is to focus on building an entrepreneurial culture in every community. With a community supporting entrepreneurs, it will create a model that anyone can pursue ventures to create value, feed their customer and themselves. I believe there are tremendous opportunities in front of us. Technology is radically transforming everything we do. Don’t you want to play a part in this transformation? Elon Musk wants to be able to send a Human to Mars, i.e colonize another planet. Do you think the entire humanity can help in that effort? do you think there could be economic drivers which could propel you to participate in building a business that supports that initiative? Here is Sal Khan talking to Elon about his mission. If all my fellow entrepreneurs live up to their end of the bargain, like Sal Khan, Elon Musk, Sir Richard Branson, Larry and Sergei etc we can literally change the world and build a different future where there is NO POVERTY. Every human becomes a valuable contributor to the grand mission of our existence. It is quite insane to think about existence, but I am forced to think this way given the constant squabble in many parts of the world where we are killing each other, it is sad. I think we need a better mission for our collective humanity. So here is mine. END POVERTY, What is yours?